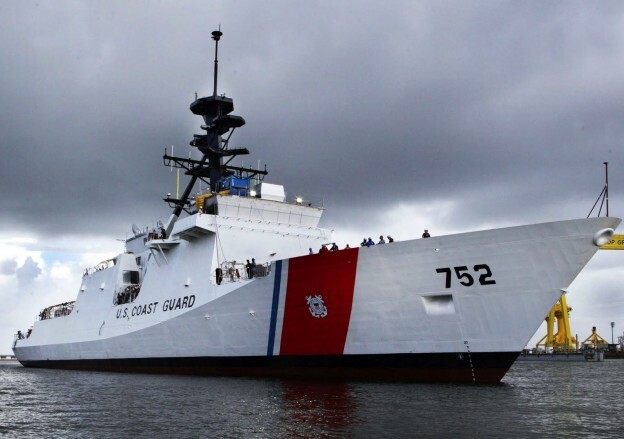 U.S. Coast Guard issued a $76.8 million contract option to Huntington Ingalls Industries for long lead items for the seventh National Security Cutter, according to the service. “The funds will be used to purchase components and materials to support construction of the new cutter, including steel plating, propulsion systems, marine turbine/diesel engines, ship integrated control system, switchboards and generators,” according to a Friday release from the Coast Guard. The option will be the first of two options to fund long lead items for the construction of the ship at the Ingalls Shipyard in Pascagoula, Miss. The second option is planned to be issued in 2014.